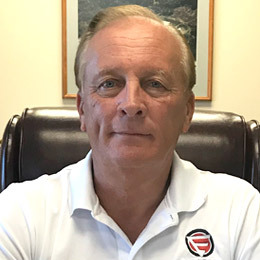 As Vice President of Efficiency Enterprises, Rodney Core is responsible for the leasing, sales and services activities in Maryland, Delaware and the Washington DC area. Rodney joined Efficiency Enterprises in 1996 and led the company’s efforts to expand, opening new facilities in Maryland and Florida. He opened our facility in Curtis Bay (Baltimore) and subsequently opened our Tampa facility. Rodney has held various positions of increasing responsibility including Operations Manager, General Manager, and Executive Vice President. With over three decades of experience in the transportation industry, including roles with both GMC trucks and Peterbilt, Rodney’s specialty is to partner with customers in order to save time and money. In his free time, Rodney enjoys boating and spending time with his 2 sons, who also work for Efficiency Enterprises in Maryland.